A beautiful thank you note image to share with everyone who encouraged and supported you in achieving the success. Sometimes, the encouragement and kind words from the beloved people can refresh the mind and let us push forward than with the efforts and hardwork alone. 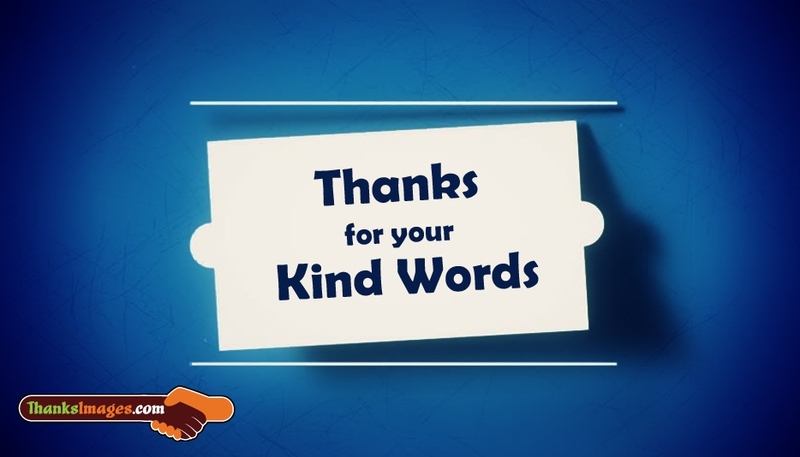 You can free download and share this "Thanks For Your Kind Words" image through facebook pages and whatsapp chats.